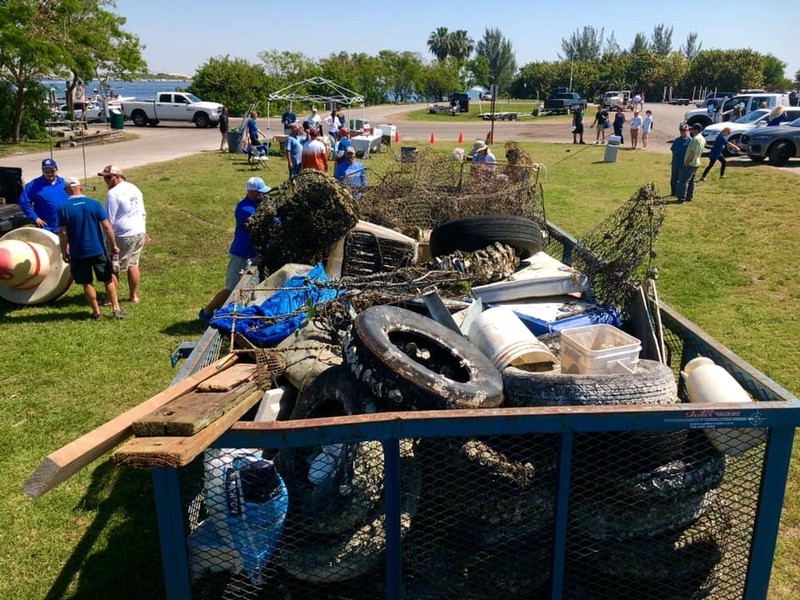 DAVIS ISLAND, FL - March 26, 2019 — Tourney participants collected 4,898 pounds of man-made debris and 33 derelict traps, yesterday, at #GhostTrapRodeo No.5 between Davis Island and Alafia River in #TampaBay. Event MVPs on Team CookieCraft found 14 derelict traps, while Team Wingman brought in 25 tires. Strangest find was a walker (with tennis ball feet) covered in barnacles. Checkout the pictures! Huge thanks to every volunteer who made this possible, yesterday!FYI: After 5 GTR Events, volunteers have collected nearly 16,000 pounds of trash and 140 derelict traps...Amazing!